Learn about a range of different hydraulic designs. 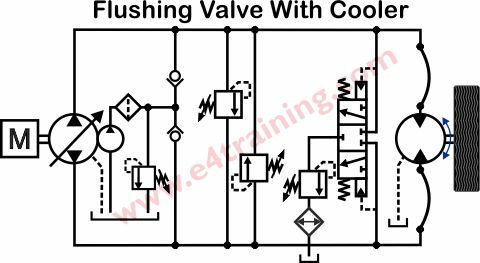 This section will show you some of the standard circuits used to control hydraulic systems. Examine a range of load control circuits to understand some of the problems and pitfalls of moving loads with hydraulics. We consider each circuit and discuss the pressure balances that make them work. 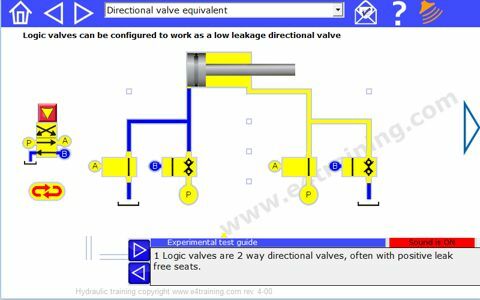 We show you how to experiment with our valve simulations to explore the circuits and better understand how they work. Experiment with a range of hydraulic circuit layout. 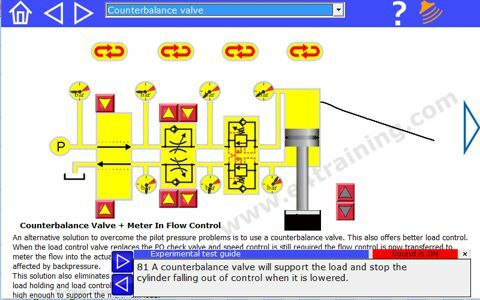 This simulation program allows you to select from different hydraulic circuits and test how they work. You can add your own load and performance values to understand how your own systems will work. You can even build and test your own circuits. We will be adding lots of example training circuits within this software. This module applies to both mobile and industrial applications although much of the more comprehensive control features will only be used on industrial applications. Lower cost power units in the industrial sector are very similar to the simpler mobile power units.